Description - Bring the attractive look of luxury hardwood floors into your home at a fraction of the cost. Mega Clic's Metropolitan Laminate wood plank replicates the stunning color and appearance of natural wood floors with the versatility of a laminate flooring. The beautiful colors in this series are sure to look great with any room's decor. 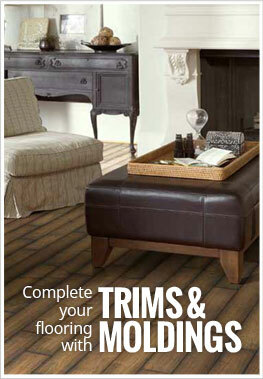 Backed by a 35 year warranty, you will love your new plank flooring for years to come. Material – Mega-Clic laminate flooring is composed of a laminate over top of an HDF core that is both water resistant and Carb 2 compliant. 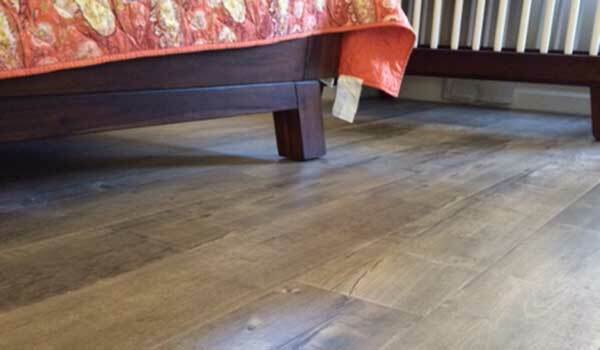 The laminate is protected with a wear layer and the HDF core helps provide added stability and durability. Size – Laminate floor planks are 47.8" long x 6.65" wide. Weight – Each laminate plank weighs ~4.3 lbs. Recommended Uses – Metropolitan laminate plank flooring has been successfully installed in bedrooms, dens, home offices, waiting rooms, break rooms, office kitchens, closets, entryways and more. Scratch, impact, and water resistant. Beautiful wood look and feel. Easier to install and maintain than natural hardwood. Excellent quality! Love our new floor! The shopping experience was great and the floor was shipped on time and as expected. Great product! The laminate quality was good. I had a good selection of laminate on your site to choose from. The only issue we ran into was the late delivery of our second order of additional laminate. Although it was the carrier at fault it does reflect poorly on flooring Inc since I paid you for delivery. The installed laminate looks great. See attached picture.